Incredibly, three major Democratic candidates for president have already voiced their support for reparations. That is, they endorse the concept of offering compensation to the descendants of slaves and to those affected by America's history of racial discrimination. None of the three candidates supporting reparations have outlined who precisely would benefit from such payments, how much they would receive, or how the program would work. Nonetheless, they have opened a can of worms that could produce major headaches for them and for the American people. First, we must understand that reparations enjoy minimal public support. Although a majority of blacks seem to like the idea, according to a 2016 Marist poll around 70% of Americans oppose reparations. 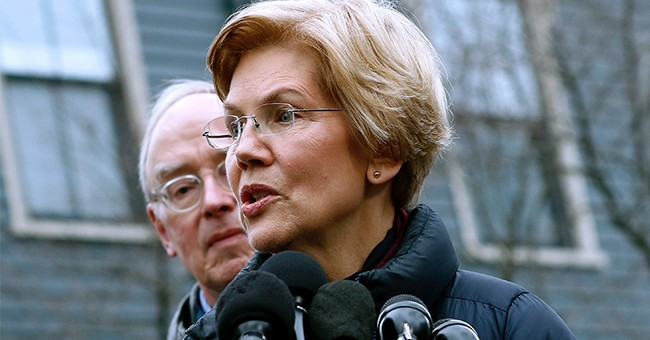 The Democrats who have opened the door to reparations payments – former HUD Secretary Julian Castro of Texas, Sen. Kamala Harris of California, and Sen. Elizabeth Warren of Massachusetts – have thus done so at the risk of diminishing their own electability. Presumably, they feel that winning over key minority constituencies with (almost certainly false) promises of reparations is worth the gamble. As it turns out, however, the unpopularity of reparations is the least of the many, many reasons to oppose them. Reparations are based on the simple (and seductively commonsensical) idea that those who have been harmed by the actions of another should be compensated for that harm. In the case of American racism, though, determining who has harmed whom, and what remedy is suitable, is a dilemma of gargantuan proportions, especially considering that most of the “victims” are long dead. Logistically and ethically, therefore, any campaign to implement reparations payments would court confusion and disaster on a virtually unprecedented scale. The initial logic of most proposed U.S. reparations programs is that “African-Americans” (a category falsely conflated with “blacks”, since Africanness and black skin are not necessarily coterminous) deserve financial compensation because their ancestors were enslaved and/or because they or their ancestors suffered from policies of racial discrimination, some of which were only abandoned in living memory. Several problems arise almost immediately. If the eligibility for reparations is to be determined partly based on “ancestry,” how is one's relationship to enslaved or racially oppressed ancestors to be proven? Some Americans who are black are recent immigrants, and thus they bear no relationship to anyone who was ever enslaved or oppressed in the United States. Should they receive reparations payments based solely on their skin color? This seems clearly unjust. If, then, ancestry is the key test, how is it to be passed? Civil records like birth certificates? Family lore? Genetic testing? Assuming one's relationship to an enslaved or oppressed ancestor could be proven, how great a relationship would be required to determine one's eligibility for reparations? For example, since racial mixing has been common in American history, millions of white Americans have at least one black, enslaved ancestor. Shall they be entitled to reparations? Presumably not, so degrees of relatedness would have to be considered. How much “blackness” would be enough? Furthermore, if victimhood is an inherited characteristic, then presumably the guilt of perpetrating slavery and racial oppression is also. The logic of reparations suggests that someone should receive the payments, and someone else should pay. What, then, of an American who is half-black and half-white (as is quite common)? Should such a person, who straddles the categories of victim and victimizer, be obligated to pay reparations to themselves? The very concept of reparations is rife with potential absurdities such as these. The questions of what form the payments will take (direct or indirect), and how the money should be raised, are equally vexing. Some proposals for a meaningful reparations program push the costs into the trillions. Can the federal government, given its already sizable budget deficit, afford to fund reparations? Even if it could, presumably the expense would require cuts to other programs, or increases in taxation. Either way, some Americans would be called upon to sacrifice so that the recipients of reparations could be compensated. How could such burdens be apportioned fairly? And what valuation could be placed on human suffering that would appease reparations' beneficiaries? We have yet to arrive, however, at the biggest single challenge regarding reparations. One may reasonably ask: if the historic harm done to black Americans merits the payment of reparations, then why are other disadvantaged groups not also compensated for their suffering? Sen. Warren has potentially opened the floodgates with her eager admission that American Indians (like herself?) would have to be “part of the conversation” on reparations. No one can deny that some American Indians were indeed victimized by racist policies, so the same convoluted process would have to be undergone to determine who among them was entitled to compensation, and in what form. The list of additional potential “victims” deserving of reparations is a lengthy one: Hispanics (who inconveniently may be of any race), women, the disabled, homosexuals, Asian-Americans, Irish-Americans, Italian-Americans, Polish-Americans. These are just some of the more obvious groups that might claim a history of mistreatment in the United States. Note that some of these groups, measured by their current economic status, educational attainment, or political influence, can reasonably be described as “privileged” in modern America. This raises the question of whether such people, while historically disadvantaged in some ways, might be advantaged in others. In any case, while they might, under some definitions, be entitled to reparations, they would also presumably bear a disproportionate share of the associated costs, since ultimately it would be the American public, and especially those of means, who would foot the bill. Again, the absurdities accrue at an alarming rate. The only possible conclusion that this brief survey of reparations and their ramifications can produce is this: reparations are a fool's errand destined to sow confusion and to open more wounds in America than they could ever hope to heal. One suspects, in fact, that these three Democratic candidates for the presidency are fully aware of the impossibility of executing their call for reparations. They may intend for such calls to be conveniently forgotten after the primaries are over, or at best for “reparations” to end up as just one more excuse for governmental expansion and the implementation of socialist policies. Let us hope that is the case. Let us hope that this reparations talk is mere hot air, because the alternative is far worse. The alternative is that sheer self-destructive madness truly has overtaken the Democratic Party, and our next president may be, not just a socialist, but a Berserker intent on fomenting the maximum amount of social chaos and racial resentment.